Abuja (Agenzia Fides) - Another Catholic priest in the south of Nigeria, Rev. Fr. Lawrence Adorolo, of St. Benedict Catholic Church, Okpella in the State of Edo, was reportedly abducted. 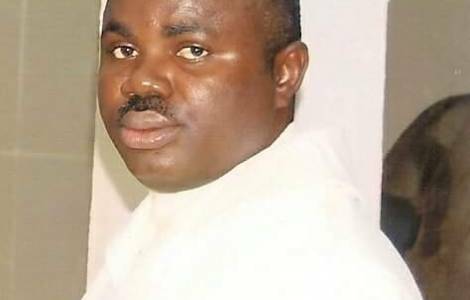 "Rev Adorolo was on his way back from Auchi to his parish at St. Benedict Catholic Church, Okpella, when he was abducted by gunmen at a bad spot near Okpella about 6p.m. on Wednesday, September 27", said His Exc. Mgr. Gabriel Dunia, Bishop of Auchi. In condemning the kidnapping of the priest, defined as an "abominable act", the Bishop revealed that "the abductors have made contact with the church for ransom. The church does not pay ransom", Mgr. Dunia reiterated, confirming the line adopted by the Nigerian Bishops' Conference to reject any request for ransom. "The diocese is calling for an unconditional release of the priest. We are holding a Mass for the unconditional release of the priest", concluded the Bishop. Some days ago, armed men kidnapped the director of Ogba's Wildlife Park in Benin City, the capital of Edo State, killing three policemen.